Place this Accent Chair anywhere in your home where you need some sophisticated style and a comfortable seat. 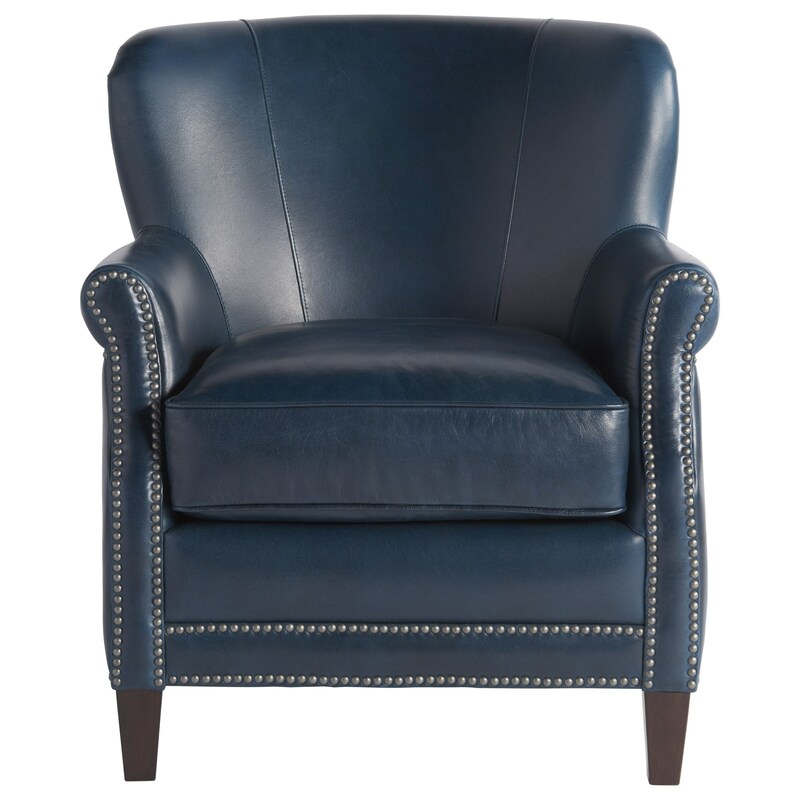 The piece features a cleanly designed frame, with slightly flare tapered arms with nailhead trim running down them and then along the base. Furthermore, you'll love having the luxurious Moore & Giles leather in your home. The Eden Accent Chair with Nailhead Trim by Universal at Zak's Home in the Tri-Cities, Johnson City, Tennessee area. Product availability may vary. Contact us for the most current availability on this product.